Michael serves as pastor of City Evangelical Church in Leeds, England (cecleeds.co.uk). 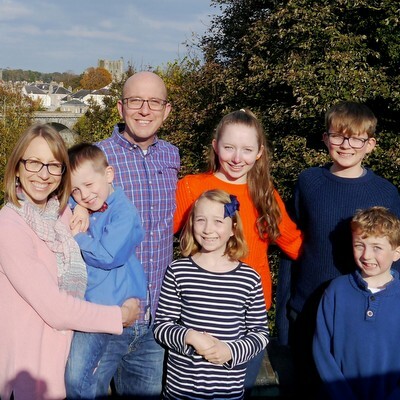 He began serving at the church in the summer of 2010 after six years as an assistant pastor in Edinburgh. Michael and Emily were married in 2001 and have five children: Anna, Elijah, Rosie, Liam, and Joshua. Michael received his M.Div. from The Master's Seminary in 2004 and a Th.M. from Westminster Seminary in 2013. Michael is the pastor at City Evangelical Church, Leeds. The church is a local FIEC (Fellowship of Independent Evangelical Churches) church in Beeston, Leeds. Our church is in a deprived urban context, drawing people from the local area and all over the city. We are surrounded by numerous social needs, as well as a large Asian-Muslim population. Lots of challenges and lots of opportunities! We are thrilled to be part of this church and to serve as we seek to make and mature disciples of Jesus here in Leeds. We aim to do this by reaching people for Christ, feeding the people of Christ, nurturing the people of Christ, training the people of Christ, and partnering with other local churches to see this great work accomplished.